Burntisland Shipyard 0 Colville Park 7, 12/08/2017. The Recreation Ground, Scottish Cup First Preliminary Round. 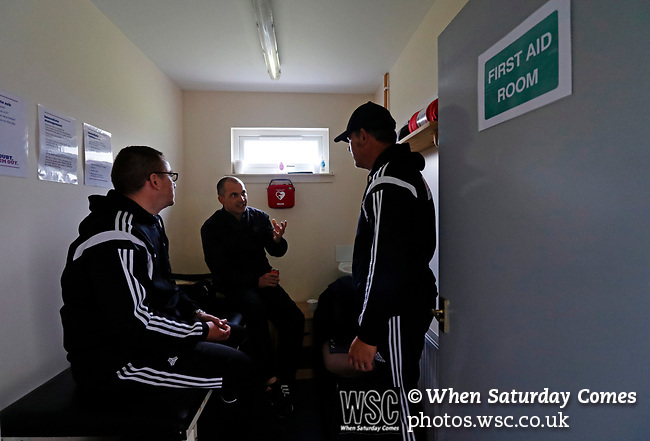 Burntisland Shipyard's Manager Chris Maxwell (left) discusses tactics with Chris Cowan and Ray Drury. Photo by Paul Thompson.